Entrevista a PlayWinxClub sobre la app Alfea Butterflix Adventures -en ingles- ~ My Winx Club-Pretty!*. 1-Why inspired you in create Winx Club Alfea Butterflix Adventures App?In the Winx Club Videogame of 2004? 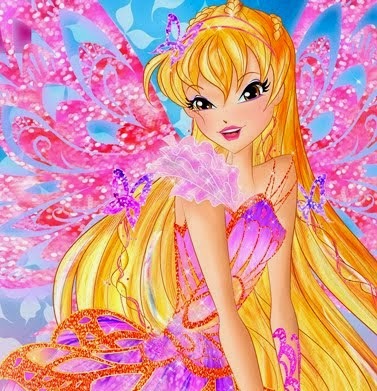 2-How long did you work in Winx Club Alfea Butterflix Adventures App? 3-Can you tell me why the Winx didn´t wear the Fairy College clothes from the seventh season in the app ? 4-What is the objective of the app? The objective is to collect all Keys hidden in Alfea, keep your population growing, battle Brafilus to keep his wild magic from coming into the school and collect all trading cards possible! 5-Why you put the trading cards in the app? 6-How you unlock the teachers and characters in the app? 7-How you unlock all the Winx in the app? 8-How you unlock Butterflix transformation in the app? 9-How you increase your population of students in the app? 10-Will we see more clothes of the seventh season in the next updates?and from other seasons? 12-Can you take photos or videos of the app? 13-How many plattforms will be avalible the app? 14-Why the app didn´t have lite version? 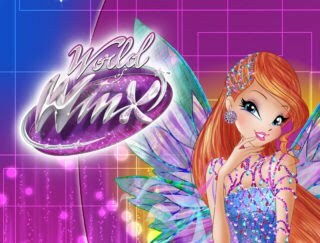 15-Do you enjoy do Winx apps? 16-What do you think of the opinion of the Winx Fans and Winx Bloggers? 17-How many teachers can unlock in the app? 19-How you control the Winx in the app? 20-What are the keys in the app?and the gemlins? 21-Will Kalshara appear in next updates? 23-Can you describe the experience of play the app? 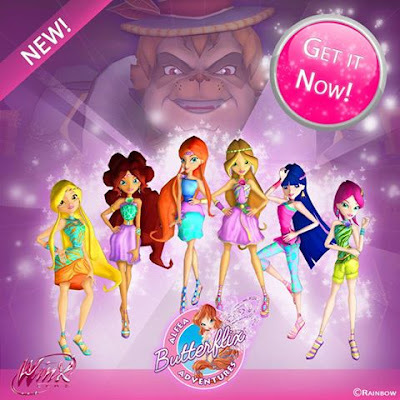 24-What do you think of Winx Club Alfea Butterflix Adventures App? 25-How many hours can you pass with the app for now? Thanks to PlayWinxClub for this wonderful interview. Gracias a PlayWinxClub por esta maravillosa entrevista. Recuerda que la app ya esta disponible para dispositivos con iOS y GooglePlay. ¡Hadas y especialistas , aquí está el momento más cósmicos del episodio 1 de la octava temporada de Winx Club! ¡Al colegio con una sonrisa! © 2004-2014 Rainbow Media Pte. Ltd. All rights reserved. © 2013 Viacom International Inc. All Rights Reserved. Nick and all related titles, logos and characters are trademarks of Viacom International Inc.